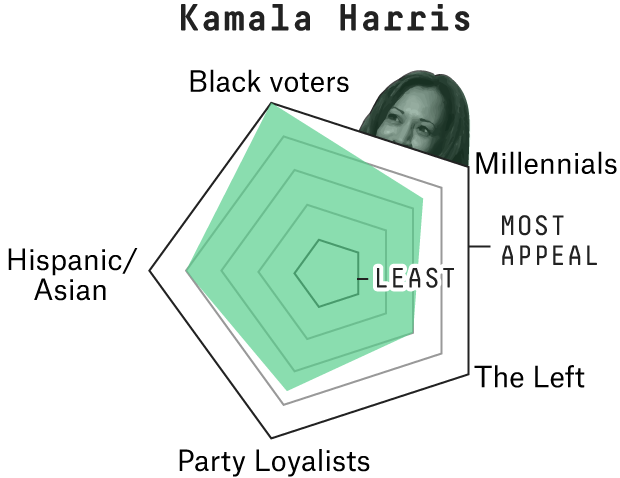 Moreover, looking at the current primary calendar,2 I’m not sure about her prospects in Iowa and New Hampshire (more on that in a bit), but the order of the states is set up well for Harris after that. The third contest is in Nevada, a state that borders California, so voters there may be more familiar with Harris than other candidates. South Carolina is next, and African-Americans will likely constitute a majority of voters there. Remember that California has a system in which candidates of all parties are included in the same primary, and the top two vote-getters advance to the general election. The calendar could still shift around a bit.